Too much chatter at the office? Doctor’s appointment in the middle of the day? 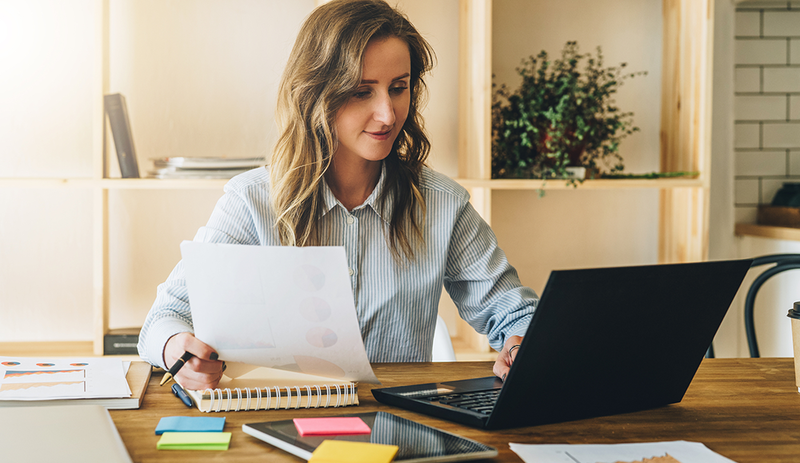 Whether you work remotely on a regular basis or as an occasional perk, working from home can be an excellent alternative to sitting in a cubical. The key to work-from-home success is to create an environment that allows you to focus on the tasks at hand. It is possible to be comfortable and productive at the same time! The home office serves a great purpose, but it isn’t for everybody all the time. Would you like to fuel your creativity, or do you prefer a quiet environment for crunching numbers? You may find yourself curled up on the sofa one day and at the dining table the next, depending on the project. Determine how you usually divide your day. For example, are you more creative in the morning? You may spend that time writing or brainstorming ideas for your latest project. The afternoon could then be a more relaxed time spent sitting on the sofa, sifting through emails, and completing the rest of your tasks for the workday. 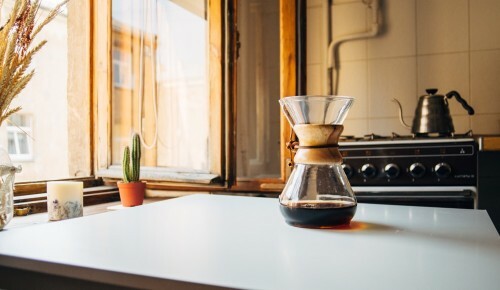 Whether you work in a home office, kitchen, or living room, if there is anything around that reminds you of your household chores, you’ll be distracted. Whenever you work from home, claim a clutter-free zone. This will help you stay focused on your workload, rather than your domestic to-do list. Many people think working from home means sitting around in pajamas with the television on in the background. Not true! Just like in an office setting, you have to set yourself up for success when working from home. Get ready as you would if you were going into the office. Set a morning ritual of getting dressed (no loungewear! ), making a cup of coffee, and doing whatever else you need to do to get into the right mindset. You may also want to jot down your to-do list for the day. You increase your chances of being productive when you start your workday with clear intentions. Some people find it easy to work in bed or on the sofa. That’s perfectly fine, but if you’re not sitting at a table, make sure you’ve got a small one within easy reach. You might not have a host of paperwork strewn out in front of you, but you will benefit from having that space to set down a glass of water or your phone. Coffee tables and side tables fit the bill any time you need extra space. You can also use a c-table to prop your laptop up to eye level and reduce strain on your neck. In addition to finding a surface space, you’ll also want to keep your posture in check. Prop yourself up with a few throw pillows to help maintain proper body alignment. Natural light through the windows can be lovely, but it can also cause glare on your computer screen. If windows work to your benefit and the view isn’t distracting, great! If not, pull the blinds and flip on the light switch. Table lamps and floor lamps can provide targeted task light if your space has insufficient overhead lighting. One of the perks of working from home is being able to create a personalized work area in a way you may not be able to do at the office. It’s all about creating a cozy yet productive space that is perfectly suited to your individual working style. Add elements that promote a calming or inspiring environment, such as fresh flowers, houseplants, task lighting, candles, or beautiful crystals. Whether you work from home sporadically, a few days a week, or all the time, you need to plan out your daily schedule. Establish your start time, midday break periods, and closing time. Setting a schedule will keep you on track with your workload. It also sends the message to your coworkers that you are available during a set period of hours – just as you would be in the office. While working from your sofa can be great, you sometimes need to break up the day. Take a 10-minute walk around the block to freshen up and encourage the flow of new ideas. Looking for a change of scenery? Head over to your local coffee shop or library and work there for a few hours. If you know others who work from home, invite them over for an informal coworking group. This will not only help you get closer to the in-office experience, but it can also be a substitute for water-cooler chats and workplace socializing. One of the most important aspects of a healthy work-from-home routine is creating boundaries. Log off for the day – and not just from your laptop. Consider adopting a phrase to say to yourself at the end of each workday to signal to your mind that it’s time to shift gears. If a last-minute idea pops into your head after office hours, jot it down and come back to it tomorrow. Just because you have access to work at any time doesn’t mean you should be logged in 24/7. Allow yourself downtime to create a work/life balance – something we all need, no matter where we are working. Sara Marie Hall writes about furniture and housewares on behalf of Crate and Barrel. She graduated from Eastern Illinois University with a bachelor’s degree in journalism. Currently a resident of New York City, Sara spends her free time exploring the city with her Shih Tzu, Kanye.